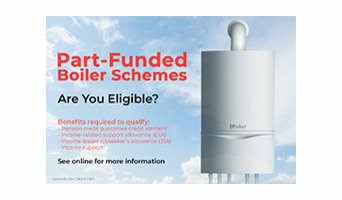 Providing the UK with Free Boilers from the Government Boiler Scheme. 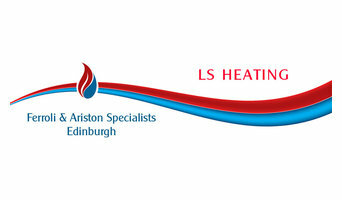 LS Heating Edinburgh are domestic heating engineers and gas engineers covering the areas of Edinburgh and Midlothian, East Lothian and West Lothian.Our gas and heating engineers specialise in Ariston and Ferroli boilers and carry out full gas central heating installations, servicing and maintenance, boiler replacement, boiler servicing, boiler repairs, appliance installation, gas safety inspections and Portable Appliance Testing - PAT.LS Heating Edinburgh are Gas Safe registered and qualified to issue Gas Safety Certificates. 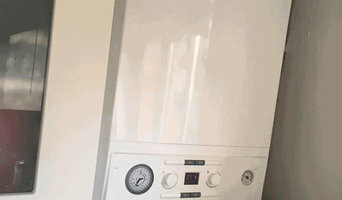 Plumbing & Heating Engineers specialist Worcester Bosch accredited installer. Clean Air Systems is a reputable ventilation company based in Edinburgh. We have over 26 years of service in this industry and have a strong commitment to providing prompt services to our clients. Our team of experts can help you with all aspects of ventilation including the design and installation of air conditioning systems, and maintenance and repairs. Get in touch with us to discuss your requirements and our team will be glad to help. We offer a comprehensive central heating service throughout West Lothian, from Boiler and central heating installation, to gas appliance servicing. We pride ourselves on taking a case by case look at each home to design and specify a heating and hot water solution that is right for your home. This approach will maximise your comfort whilst reducing your energy costs. At home, Australians use, on average, 40 per cent of energy on heating and cooling, so it’s wise to seek expert advice from a HVAC contractor in Heriot, Scottish Borders, UK on the most economical systems and models for your home. Your climate, the type of model you use and where you position it, for instance, will make a big different to your home’s comfort and how much energy you use. A HVAC contractor can also advise you on the best reverse cycle air conditioners, heat pumps, hydronic central heating and gas heating. Should you or anyone in your family suffer from allergies, they are also knowledgeable of the best anti-allergen filters and will be able to change your air conditioner’s filters, clean ducts or remove any debris around units. Other areas of expertise include refrigeration work, pool heating and dehumidification. Find heating and air conditioning contractors on Houzz. Look in the Professionals section of our website and search for Heriot, Scottish Borders, UK Heating and Air Conditioning contractors. Read reviews and see how a HVAC contractor might approach your Heriot, Scottish Borders, UK home’s heating and cooling challenges.